The Manager, Family Health and Infectious Diseases will be responsible for providing policy and strategic direction to coordinate regional networks to implement evidence based programmes in order to facilitate member countries to achieve the highest level of Family Health and Infectious Diseases for the population of ECSA-HC. i. 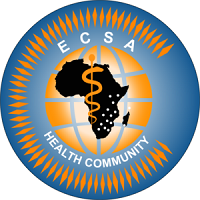 Provide leadership in establishing ECSA HC policy and strategy on Family Health and Infectious Disease interventions within the ECSA member states. ii. Coordinate the implementation of family health and infectious disease programmes in the ECSA region. iii. Support the managers of programmes within ECSA in evolving programmes that integrate family health and infectious diseases into other sectors/programmes for the improvement of health delivery in ECSA member states. iv. Use established networks at the regional and international level to collect and exchange information on family health and infectious diseases for use in programming. v. Monitor and report the progress and outcomes of the organisation’s interventions related to family health and infectious diseases that are integrated in other health programmes. ix. Mobilize resources from different partners through writing programme/project proposals to support implementation of regional interventions for family health programmes and control of infectious diseases and ensure accountability of resources to meet the collaborators funding requirements. x. Implement multi-centre operational research activities to support development of evidence-based policies and programmes that focus on family health and infectious diseases. xi. Participate in scientific conferences on family health and infectious diseases as part of advocacy and to keep abreast with contemporary issues in family health and infectious diseases. xiii. Perform any other related functions and duties as may be assigned by the supervisor. The Office Messenger is expected to support functions which contribute to the effective and efficient operations of the Organization. Specifically, to ensure the provision of efficient delivery and distribution of mails and documents for ECSA Health Community. ECSA-HC seeks to recruit an experienced Finance Officer to support the ECSAHealth Community and Global Fund (GF) Project. The position is funded on a three year renewable contract and will be based in Arusha, Tanzania. i. Ensure appropriate communication on financial matters with the contracts and Finance Manager at the Global Fund (GF) regional office as well as the Finance & Grants management officer at ECSA-HC. iv. Experience in transactional accounting specifically the input of financial data into an accounting system.